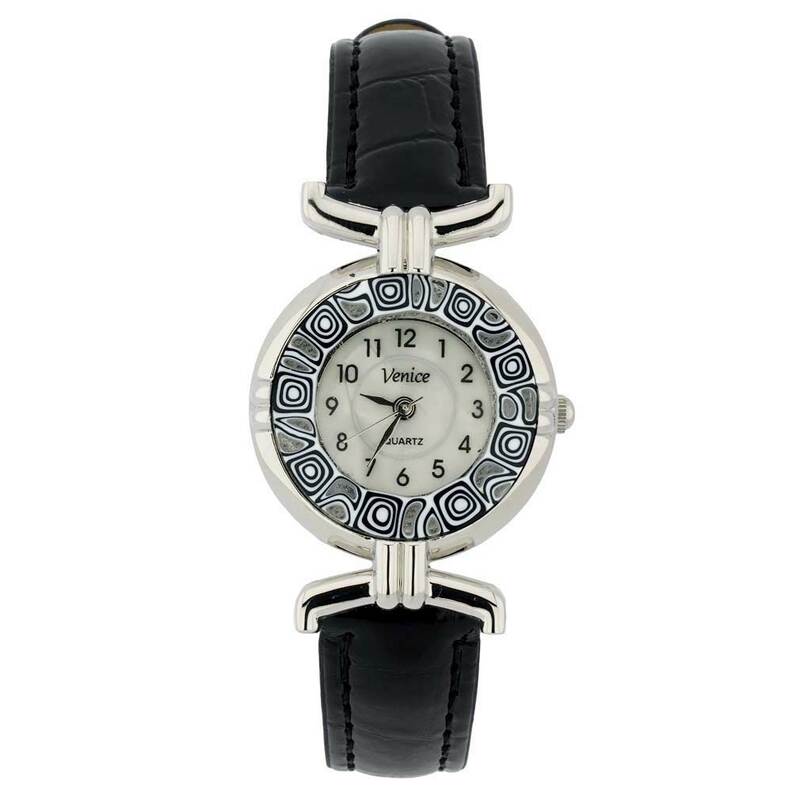 This stylish Murano Glass watch is a unique timepiece featuring high-quality workmanship and famous Murano Millefiori technique. Stylized flowers in rich colors adorn the handcrafted face of this Venetian watch and give it a trendy and artistic look. 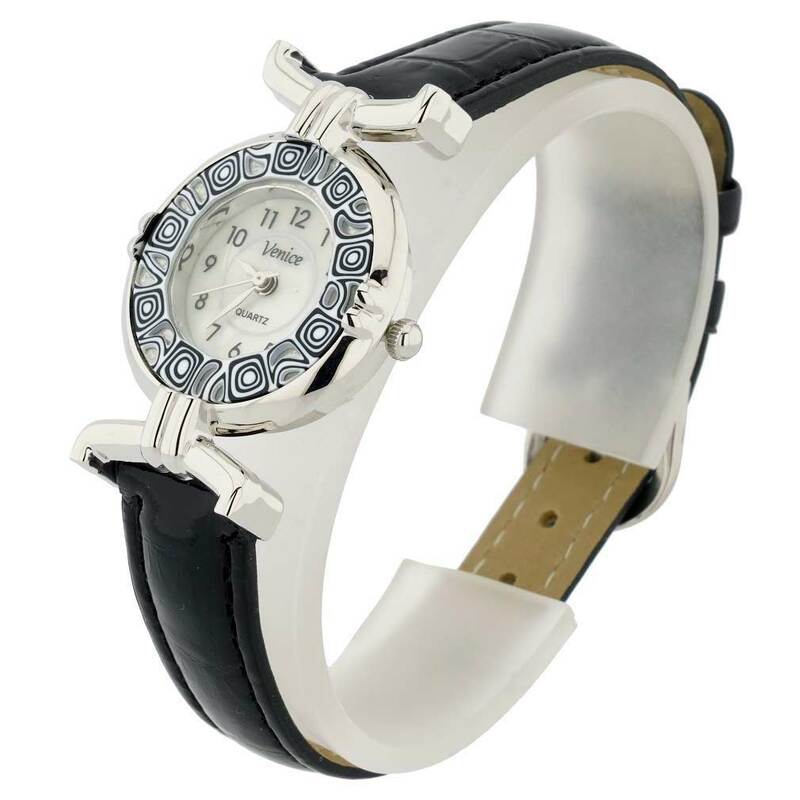 This Murano watch adds a perfect accent to any outfit and works equally well for a day in the office or a night on the town. The face of our Murano Glass watch measures 1 inch in diameter. The watch features handcrafted Millefiori face, mother of pearl dial, and a high-quality Miyota Japanese movement. 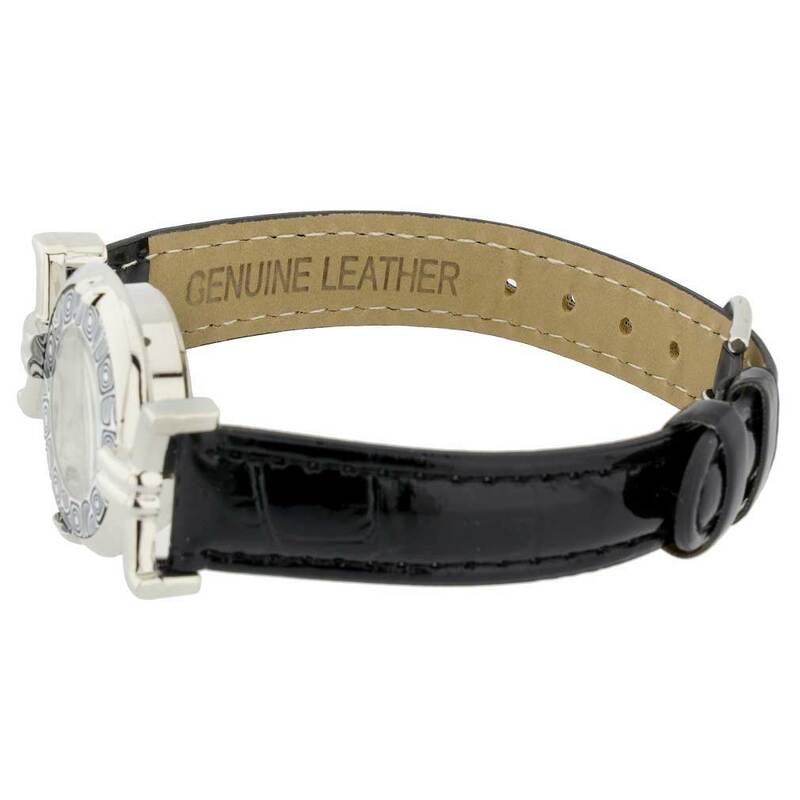 The faux or real leather band is stylish and durable; it measures 8 inches in length and adjusts to fit a wide range of wrist sizes. 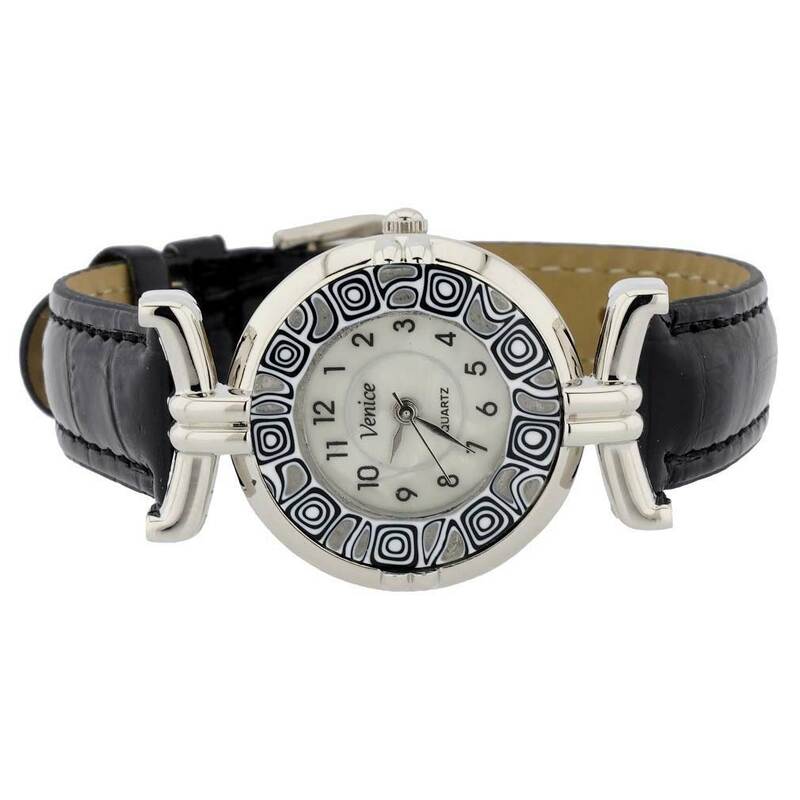 This Murano watch comes with an attractive velvet pouch and a certificate of authenticity. I love the look of the watch, BUT the band is too long. I have been wearing it but it would fit better with a smaller band. I love the black shiny band that really dresses up the watch! It is a beautiful black and silver that goes with whatever you are wearing, from dress up or casual! It arrived well packaged sooner than i expected and looks just like the photograph on their website. Really beautiful. Thank you.